When planning to have a kid, the planning is to have one at a time. Having twins is just a beautiful surprise. When planning to have children, the goal is usually one at a time. Twins just happen – and you land up with twice the joy of parenthood and twice the responsibility as well. Every family makes adjustments for a new baby, though for those who welcome more than one, the transition holds additional challenges. 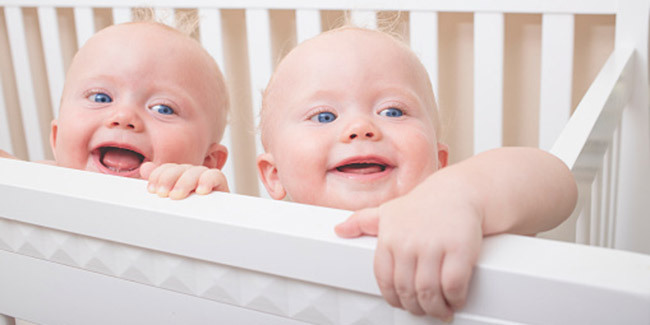 Get to Know Other Families With Twins – It is very reassuring to meet other parents with twins or triplets. You’ll find that it is not only possible to manage twins – but also get tips and techniques for accomplishing that. A couple of veterans in the social network do a lot for self-confidence. Stock Up on Supplies – With demands doubling, baby supplies seem to get over faster than you can buy them. Stock up on the essentials like diapers, wipes, bottles and formula. Don’t take them out of their original packaging if they are not needed and keep the receipts so that you can easily return the things that are not used. Adjust Sleep Timings With the Babies – It seems like a great idea to get other chores done when they are sleeping, but you need to get some sleep too. Things can look more daunting than they are when you are tired – so take advantage of every chance you get to hit the sack. Get A Good Stroller – This is one of the most difficult tasks when there are multiples – getting them from one place to another. Things get simpler when you get a good stroller. While some parents prefer a tandem (front/back) style to move around easily in narrow spaced, others find that a side-by-side model is more comfortable for their babies. Keep Things Straight – You need to build up an organized system to keep things in order and ensure that both kids get what they need. Keep a note or make a chart to keep track of the feeding times, amounts, diaper changes, medications and other important information. Prioritise – For now; focus on the new additions to your family. There will be enough time later to cook special recipes, clean your storeroom or pick up a new hobby. Wait till your twins establish a schedule. Organise Help - People love twins, and they really want to chip in. Accept any offers of help that you get – give them specific tasks. Allow your friends and family to take over the details of the meals, errands, care of other siblings, housework, yard work, laundry, shopping and everything else, leaving you to focus on the twins. Take Time Out – Even though you are now a parent, of twins at that, you still need to be in touch with your old self. Take some time out once in a while to focus on yourself and your partner. Hand over the responsibility to a helpful friend or relative, so that you two can get some alone time together. 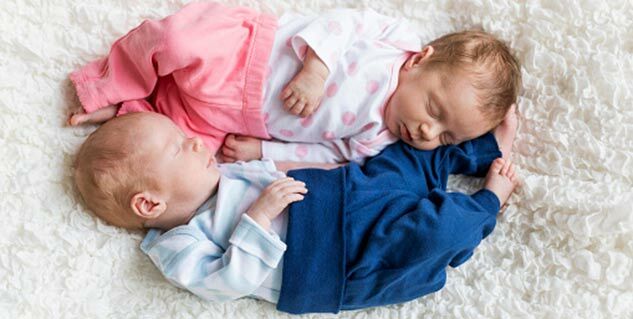 Be Flexible – There is no right set of rules to be rigidly applied in the management of twins. Rules change with every family, and the right ones are the ones that work best for yours. Keep in mind that your twins are individuals, not a perfectly matched set. Same things will not work for both the kids. Keep things in perspective – Remember that however difficult it might get, things are only temporary. The babies will grow – sleeping more and eating less often. You’ll be able to take them out in public. Every day brings you one step closer to getting things under control. The gift of nurturing twins is a special joy not granted to many. The hard work comes with its rewards. Enjoy the special and subtle moments of infancy - the sleepy snuggles, shy smiles and sweet baby smells. They will soon only remain as memories in your heart.